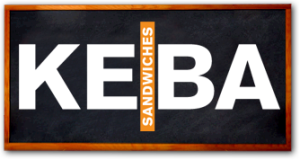 The Weight Watchers points and nutrition information on this page is for Keba Grill restaurant. The items shown are below are the ingredients that will make up your favorite menu items. Each item will show the various nutrition information needed to calculate the points. The first column of points are the newest program showing the SmartPoints values. The next two columns will show the plus values and the original points numbers. So if you are a WW member, be sure to use the column that matches the plan you are following. Tracking points can ensure you stay within your daily and weekly allowance. For non members, use the Keba Grill nutrition information to track what you need. You can count calories, watch your total carbohydrates or even reduce your sugar intake with the information on this page. Additional nutritional data includes total and saturated fats, dietary fiber and protein. Are you counting carbs to help you lose weight? Then check out this article to make sure you are making the right carb choices with the foods you eat. If you are new to Weight Watchers or just want to learn more about their FreeStyle plan, then read this overview of their latest program. To eat or not to eat before exercise - that is the question. Find out why and what you should eat before your next workout.